I've have been wanting to sit and get this story on here since April. April! It's time. Back in April while weather was beautiful, we spent a LOT of time outside. While outside we are never out of adventures. Especially when your name is Nora. We tend to have several that make their homes in our yard- I love it but Mama's room faces the back yard so she gets to listen to them all night. Ha. During a sunny spring day, Nora found a frog and was able to catch him. This is always her goal but not always possible. This guy seemed to stand out from the rest she had caught and played with. This guy was quickly her buddy. She played with him ALL day. The next morning while I was sitting outside and the kids were playing, Nora came skipping over. "Mommy, do you want to say good morning to my pet frog?" "Of course I do!" I responded. The joy was bubbling out of her as she opened her bug catcher cage and dug between some leaves and mulch she had stuck in there and pulled out her friend. There's not a way to type out the sound that leaked from my mouth. Kind of like...a gasp...a shriek...with a yell mixed in. Between her fingers was the stiffest and driest frog. "He's DEAD!!" came out with the awful shrieky noise. I definitely could have handled that moment...with a little more grace. Instantly her little face sunk and the tears came hot and fast. The gentle mommy in me kicked in and I brought her over to one of the flower beds and dug up some mulch. We talked about how frogs die and I laid him in the hole and covered him up. We found a dandelion and put that on top. Every Thursday night we host our community group. I absolutely love it. How this usually looks is the first hour we eat dinner all together and then afterwards we dig in to discussing scripture. Some nights we linger a little and this was one of them. We had finished dinner and had moved onto ice cream. The kids were all running around the back yard exploring and playing. The adults were gathered around the table talking and sharing stories. Our friend September was visiting from Washington so it was extra special. Nora walks up to the table and plops a quart size bag full of muddy water down...amongst our dessert. Nora's friend Bella is standing next to her with a funny grin. "My frog just needed water to come back to life!" I'm asking with a little bit of confusion...and a little fear. This was a thrilling moment for her. Please try to picture this. She was about to turn 4. She collected muddy water in a bag and went and dug up a frog that had been buried for a few days...with her hands and then put it in the bag to bring it back to life. It was dry, so why not give it water? I'm pretty sure I laughed for weeks. He was not buried again. ...over the fence and into the woods. I'm not sure anyone ate anymore ice cream. You guys, I didn't know before becoming a mommy how easy it is and how often the questions come loaded with doubt as a mom. There are so many "am I messing this up?" questions that come, and it's sometimes hard to battle. You here people say things to help make the doubt not seem not so harsh until you read an article about all the things parents these days are doing wrong...and it all comes back. Often I remind myself that I love Jesus and because of that, I live in the freedom of grace that covers all of the things I am messing up while knowing that Jesus loves her more than I do...and ultimately, she belongs to Him. But...the worry and doubt come. I have been trying to be very intentional with Nora about her character. I want to make sure as she grows that I'm not super focused how she does in whatever sports she plays, or how good her grades are and all that she learns and knows. I want to help her grow and mature in her character and her strengths as she becomes the woman God has designed her to be-I want that to be the center and focal point in all that we do. This morning I had a conference with her preschool teacher. It was for the purpose to discuss if we should wait a year for Kindergarten or go ahead and send her. She did really really good on the school work part which of course was so fun to see and hear about. I love getting to hear that she's always excited to learn, especially because I see that too. The best part of this morning and what has stuck with me today are the things the teacher talked about with Nora's character. She talked about how she's compassionate and kind. How she's really funny and confident and strong. I can sit and spend hours with flash cards (let's be real...I really couldn't. Ha.) and teach her facts about things and how to figure out counting and reading, but I can't spend hours pounding into her good character. That comes with prayer. With being intentional. 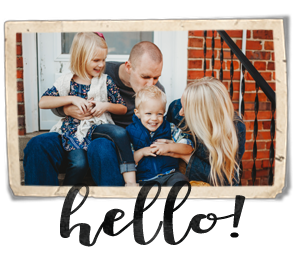 With a life at home that can be really challenging but allowing our family to be thankful for who Jesus is through it. It's not me who gets the sticker for the good job of all that I've taught her. It's Jesus that I can praise because of how good He is. There's a brokenness in our family that so often I tend to fear the affect of it...but we know that for those who love God all things work together for good, for those who are called according to His purpose. 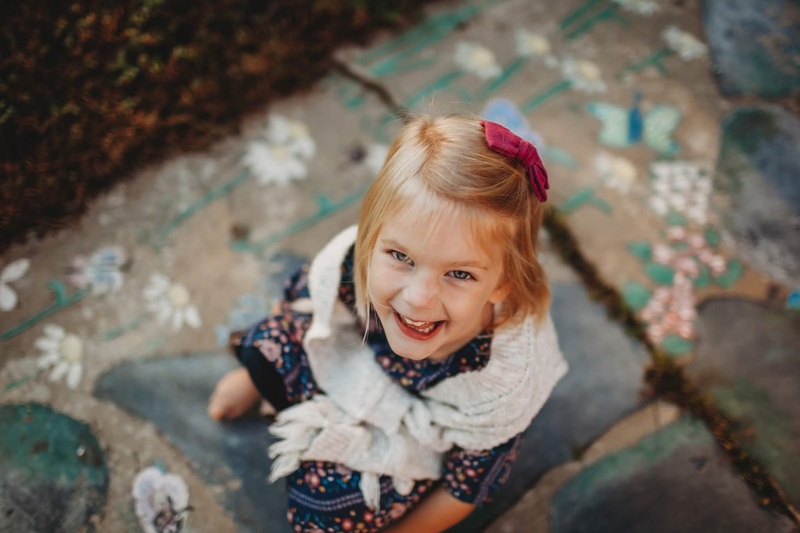 He knew before the accident happened that Nora would be a part of our lives and that she would grow and live in a home with brain injury...and that He was going to use her in big ways for His glory. I'm thankful for the gift she is to our family. You know, that would frog story would be kind of fun if you could find a way to print it for Nora for when she grows up. It is sooo cute. You are right where Father wants you, your attitude and all. You have hit the nail on the head saying Father knew Nora...Easton, too...they would be born into a family with TBI. When think about my own story, it AMAZES me Father had it ALL PLANNED out BEFORE the beginning of time!!!!! You KNOW the outcome has gotta be GOOD. Those are the only kind of stories Father writes for those who honor Him. I love you and am honored to be a part of your journey.